Results of the vote will be widely publicized in the EU. 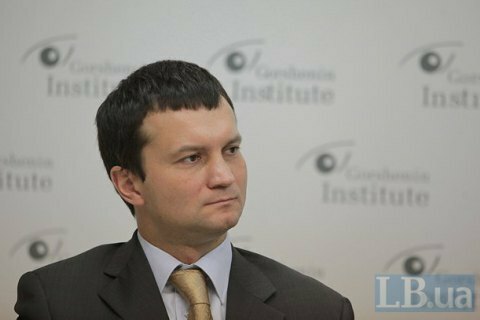 Results of the referendum on the EU-Ukraine association agreement, regardless of their essence, can be used against Ukraine, Gorshenin Institute Vice-President Oleksiy Leshchenko has said at the roundtable entitled "Is the Dutch referendum an attempt to stop Ukraine's European integration?" hosted by the think-tank. "We are witnessing a highly manipulative campaign under way in the Netherlands which was initiated by some non-mainstream, marginal forces with shady financing. And even if results of the referendum are non-binding, a spread in voting will be publicized as broadly as possible both within the Netherlands and the EU. Ukraine may fall victim, a hostage to the situation when ultra-manipulative campaigns cast doubt on the association agreement for which Ukraine has already paid such a high price," he said. He suggested that Ukraine should be making its stand in the Netherlands more actively. On 6 April 2016, the Netherlands will hold a non-binding referendum asking citizens whether the EU-Ukraine association agreement should be ratified or not.